February 27, 2017. 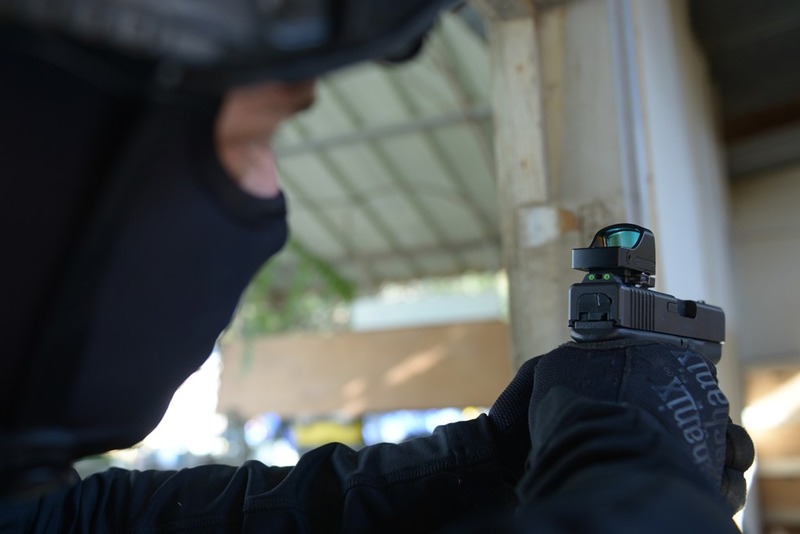 Meprolight Ltd. – a leading manufacturer of electro-optical systems, thermal and night vision equipment, Self-Illuminated sights, and Laser Range Finder systems for military, law enforcement and civil applications – launches a unique red dot micro sight with quick release and backup night sights. The MEPRO MicroRDS is designed for pistols, rifles, and shotguns. 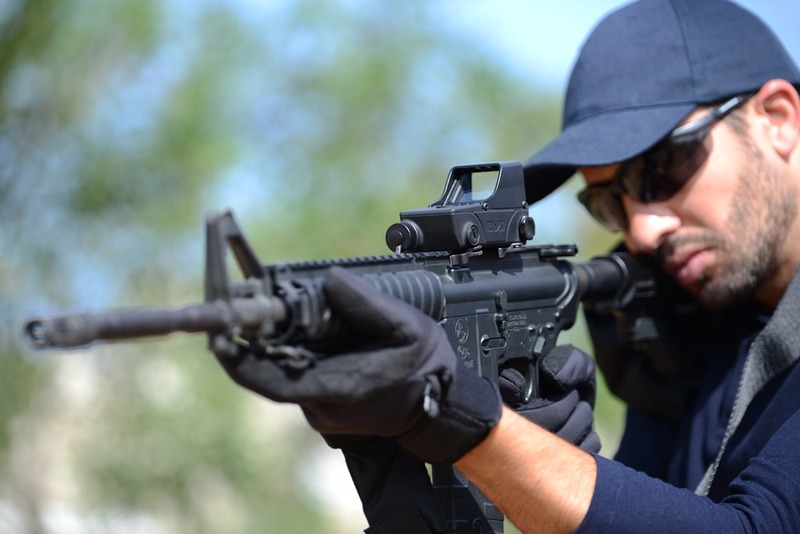 The Company is expanding its operations in the European civilian market with its MEPRO MicroRDS, MEPRO RDS Red Dot Sight, and MEPRO FT BULLSEYE self-illuminated pistol sight. The MEPRO MicroRDS – the latest addition to the MEPRO RDS family – is small, rugged, and energy efficient, with a clear aiming point for all light conditions, and a large display window. For pistols, it serves as the main aiming sight, offering fast target acquisition at close distances. It fits a large variety of handguns thanks to its patented quick release mounting (MEPRO MicroRDS adaptor). The adaptor allows the use of an optical sight alongside a backup tritium sight. There is no need to replace the gun’s slide or to drill holes to install the optical sight. For rifles, it serves as a backup sight for close distances, while the main sight covers medium and long distances. The company is expanding its operations in the European market with the MEPRO RDS electro-optical red dot sight and MEPRO FT BULLSEYE. The MEPRO RDS is an energy-efficient, compact, and rugged sight that provides thousands of operating hours while utilizing a single “AA” commercial battery. With its large display window and clearly-defined red dot, the MEPRO RDS ensures rapid target acquisition with both eyes open. Offering numerous easily switchable reticle brightness intensities, the MEPRO RDS fits every hunting scenario, and is compatible with GEN II and GEN III NVGs as well as magnifying scopes. The MEPRO RDS is a civilian of the Mil Spec MEPRO M5, used by the Israel Defense Forces. The MEPRO FT BULLSEYE is an extremely small, low profile, optical pistol sight. Similar to reflex sights, it provides the shooter with an aim point in the form of an illuminated dot and circle bullseye, enabling intuitive and fast target acquisition. The MEPRO FT BULLSEYE allows instant and accurate shooting in all lighting conditions with no batteries needed. The sight – which fits most existing holsters – needs no front sight and can be easily installed on an existing pistol dovetail. Meprolight is a leading International Electro-Optics company, developing, manufacturing and marketing systems for infantry, armed forces, law enforcement agencies and civilian markets since 1990. Meprolight provides comprehensive solutions with a wide array of combat-proven products; electro-optical and optical sights and devices, night vision sights and devices, thermal sights, and fire control systems and other self-illuminated products and accessories. Meprolight’s solutions are currently operational in safety and security applications for law enforcement, military and civilian communities worldwide. This entry was posted in IWA / ENFORCE TAC and tagged Meprolight, Micro RDS, MPRO RDS. Bookmark the permalink.